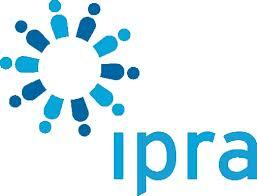 Dubsar PR has joined IPRA (International Public Relations Association) to increase its worldwide presence. With this annoucement, Dubsar contributes to establish a link in Spain between a local public relations agency and IPRA. This pretigious association has relied on our firm to spread IPRA’s values and knowledge in such relevant field like public relations. IPRA Golden World Awards, rules of public relations 2.0 and more contents are part of our commitment when we accepted to become a member of this international association. Enhancing IPRA’s visibility in Spain is very important for our agency, but even more vital is to provide our services to our colleagues and partners on the scope of this association. Regional PR, digital marketing, community management or media relations are part of the work we will contribute here in Spain to IPRA. This quid pro quo relationship is likely to generate synergies among all the members. This enlargement of Dubsar’s business will play a key role and will represent a great opportunity to show the way of working of our firm. The International Public Relations Association was formally established in London on May 1 1955, after several meetings and talks, with the adoption of a Constitution and the appointment of the first IPRA Council. IPRA since then continues working to foster the ethical practice of public relations across the world, being instrumental in the creation of the Code of Athens – the basis of the codes for almost all PR Associations worldwide. IPRA will provide both intellectual leadership in the practice of international public relations and make available to its members the services that will help them meet their professional responsibilities and to succeed in their careers, thus enabling the Association to increase membership, grow financially and create a virtuous circle of success.